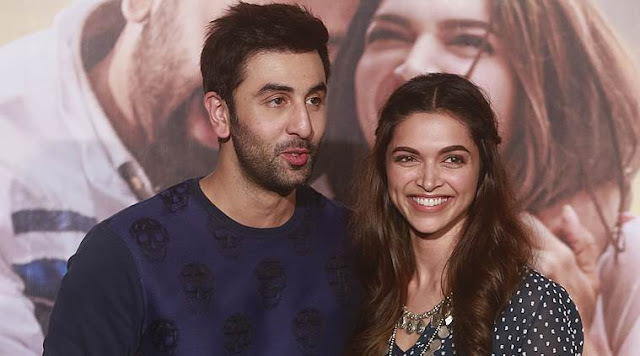 Ranbir Kapoor : I've pressure to deliver success with Tamasha! Ranbir Kapoor : I've pressure to deliver success with Tamasha! Home > tamasha 2015 > Ranbir Kapoor : I've pressure to deliver success with Tamasha! Ranbir Kapoor : I've pressure to deliver success with Tamasha! Bollywood star Ranbir Kapoor is going through rough patch in his career after back to back unsuccessful films. So, Ranbir says there is pressure on him to deliver success with his upcoming romantic film Tamasha. When asked about his last films Ranbir said ,"Of course, my last three films, 'Besharam', 'Roy' and 'Bombay Velvet' haven't worked, so there is pressure because we don't make films for ourselves, but make it for the audience." Unexpectedly this three flops came after delivering the Superhit of his career "Yeh Jawaani hai Deewani"
Ranbir had excellently made his debut in "Saawaria" directed by Sanjay leela Bhansali eight years ago. He terms the film as "the most important film of my life", and accepts that it was a disaster. But he still maintains that he had a lot to learn from the film's failure. About his sweet successful film Barfi he said, "It is my aim with every film, that I do good films and good acting. My method of choosing the kind of films that I do is the same. It's not that that a years ago I was doing less acting and I will now do more acting." He also added, "What I can do is work with my heart, but I don't have any control over the final destiny of my film whether it'd be hit of flop." See Also : When Kat and Ranbir left Diwali party after Salman's entry! Now the actor is praying that "Tamasha" will prove audience that there is still something about him. No doubt Ranbir s probably a little sensitive about the three recent failures but it is probably no more than that. he will be back on big screen with Tamasha. You can bet on that.